Virgin Australia and Tourism Australia will be working together from July 1 on a $50 million marketing strategy focussed on attracting American travellers. In the last year, the number of Americans travelling to Australia increased 10% to 553,000. Travellers increased the amount they spent to a total $2.8 billion; up 9% from last year. Tourism Australia statistics show that the American market has the potential to be worth between $4.5 billion and $5.5 billion by 2020. Tourism Australia managing director, John O’Sullivan, said the new agreement will provide valuable support for Tourism Australia’s global campaigns and marketing activities. “At A$50 million this is a very significant deal in financial terms and also in its scope, covering marketing campaigns, trade and business events as well as media hosting,” he said. A weak Australian dollar has been attracting an increasing number of American travellers and Sunday’s international visitor survey and arrivals data from March reinforce the resurgence of the American tourism market. The five-year deal between Tourism Australia and Virgin Australia will combine Virgin Australia’s network of 47 domestic and 450 worldwide destinations to increase arrivals from key markets. 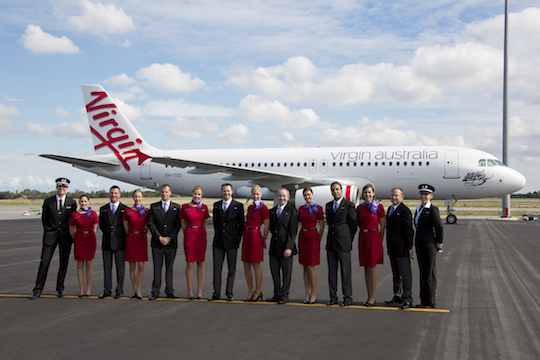 Virgin Australia CEO John Borghetti said Virgin Australia is looking forward to working closely with its partners and Tourism Australia to market Australia on a world stage. “Virgin Australia recognises the importance of working closely with Tourism Australia to promote this great country to the world,” Mr Borghetti said. When selecting a holiday destination, American tourists were attracted to Australia’s world-class beauty, safety, interesting attractions, friendly locals and family friendly facilities.